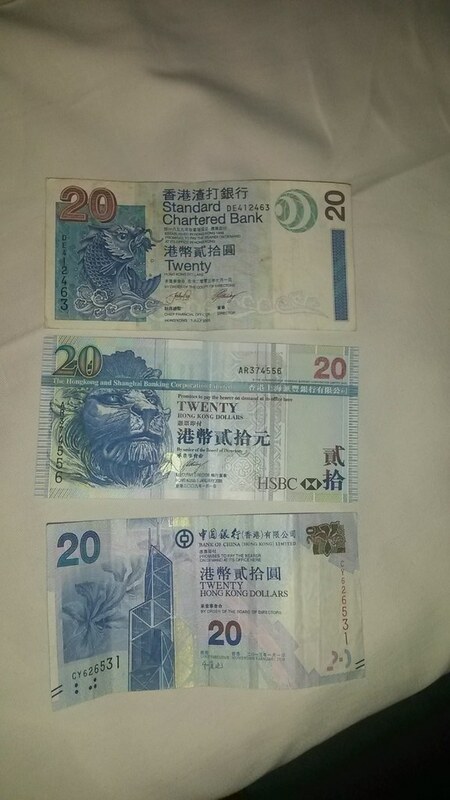 When we were in the Hong Kong History Museum I read about the different banknotes in Hong Kong and how a few banks were given the authority to design and print paper money. At the time it didn’t really sink in what as to exactly what it meant. On the train out of Hong Kong I emptied the banknotes from my pocket and could clearly see what the money exhibition been referring to. I had three $20 notes in my pocket and each one was issued by a different bank. Reading on Wikipedia about the Hong Kong Banknotes we can see that three banks have permission to issue money, in addition to the Hong Kong government (although it only issues $10 notes). 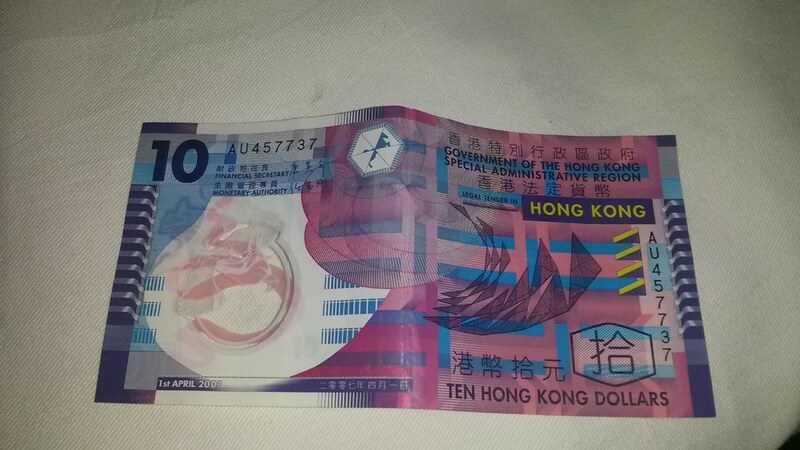 Even better, I had a $10 note which is issued by the Hong Kong Monetary Authority. We thought this was very unusual. One country allowing many banks to issue differing notes. Very few countries in the world have this system! The irony is that the UK is one of the few other countries in the world which operates like this! We were thinking that at home we only had one type of note, issued by the Bank of England, but then found out that a further seven retail banks are also allowed to issue notes in the UK. In England and Wales only the Bank of England can issue notes, but there’s many banks that have permission to print notes in Scotland, Northern Ireland, Jersey, Guernsey, etc. I suppose this should have been obvious when thinking about Scottish notes. But there we have it, an interesting fact!